Beverly - Marguerite “Peggy” J. (Moore) Tondreault 78, beloved wife of Robert L. Tondreault, died Thursday, September 6, 2018 at Salem Hospital. Born in Salem, she was the daughter of the late James P. and Jennie (Drabinowicz) Moore. She graduated from Northeastern University, class of 1960, as a registered radiological technician. Mrs. Tondreault had been employed for forty six years as a registered radiological technician at Salem Hospital until the time of her retirement in 2005. She was a member of the American Registered Radiological Technicians. A resident of Beverly for the past fifty four years, Marguerite was a loving wife, mother, grandmother, sister and friend who will be missed by all who knew her. 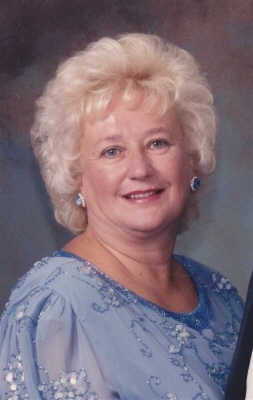 She loved traveling with her family, large holiday gatherings and attending all of her grandchildren's events. In addition to her husband, with whom she shared fifty eight years of marriage, she is survived by two daughters, Linda Iwanicki and her husband, John of Londonderry, NH and Eileen LeBlanc of Beverly, three grandchildren, Joshua LeBlanc, Dylan LeBlanc and Michelle Iwanicki, a brother, Raymond Moore of Groveland and a sister-in-law, Theresa Greaney of Ipswich. Her funeral Mass will be celebrated at St. Margaret’s Church, 672 Hale Street, Beverly Farms, Monday, September 10, 2018 at 12 noon. Relatives and friends are invited to attend. Visiting hours will be held at the Campbell Funeral Home, 525 Cabot Street, Beverly, prior to the Mass on Monday morning from 9:30 a.m. to 11:00 a.m. Burial in St. Mary’s Cemetery, Brimbal Avenue, Beverly. Contributions may be made in her memory to American Diabetes Association, 260 Cochituate Rd #200, Framingham, MA 01701. Information, directions, condolences at www.campbellfuneral.com. "Email Address" would like to share the life celebration of Marguerite J. Tondreault. Click on the "link" to go to share a favorite memory or leave a condolence message for the family.